Has a very attractive sharp strike and surface (mirror or other style) of the highest quality for the variety, with no more than two small non-detracting contact marks or flaws. No hairlines or scuff marks can be seen. Eye appeal is exceptional. If copper, the coin is bright, with full original color or with natural light toning and with no flyspecks or spots. Contact Marks: 1 or 2 minuscule. None in prime focal areas. • Hairlines: None visible. • Fields: Very attractive. Fully original. • Eye Appeal: Exceptional. Note: The term Proof (always capitalized in numismatic usage) refers to a manufacturing process which results in a special surface or finish on coins made for collectors. Reproduced with permission from The Official American Numismatic Association Grading Standards for United States Coins, 6th edition, copyright 2005 Whitman Publishing, LLC. All Rights Reserved. The Proof-69 is one of the most commonly assigned grades to modern proof coins by the third party grading companies. Most collectors can study their coin for hours trying to figure out why it did not obtain the Proof-70 grade. Coin grading is an opinion and not a science. The same coin could be looked at by the same person under slightly different conditions and it will be assigned a higher or lower grade. Proof-70 is a very lofty grade that is only achieved by very few specimens. Eye appeal is one of the characteristics of coin grading that is most subjective but weighs the most when assigning a coin the perfect grade of Proof-70. Any imperfections on the surface of the coin will detract from the coins grade. Usually a 10X loupe is used to inspect the surface of the coin. At this level of magnification even the smallest imperfections will become apparent to the coin grader. Since the United States Mint perfected the proof coin manufacturing process in the mid to late 1970's, all proof coins look perfect. However, the manufacturing of a coin involves metal striking against metal. Every time a coin is struck the metal on the die deteriorates ever so slightly. Therefore, only the first few coins struck from a fresh set of dies should qualify for a perfect Proof-70 grade. To determine if a modern proof coin will obtain the Proof-70 grade, look at the coin under a single light source approximately 18 inches above the coin. Tilt and rotate the coin under the light to look for tiny striations radiating out from the center of the coin in the deep mirrored fields of the coin's surface. If you can see some of them, this may preclude the coin from obtaining the perfect grade even though there are no obvious signs of any other surface damage. As proof coins are being struck from their a specially prepared dies, every coin struck microscopically decreases the amount of detail left on the die for the next coin to be struck. 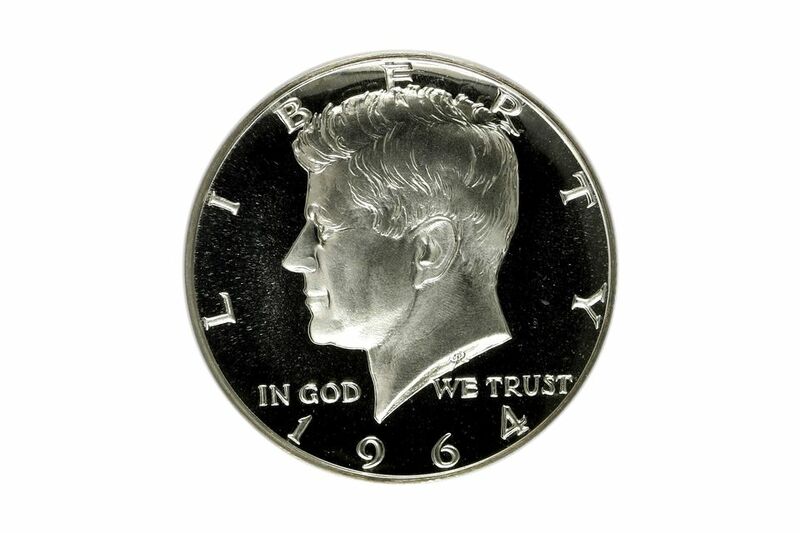 After hundreds of proof coins are struck, some of the sharp detail will be missing from the die. This may push the coin down from PR-70 to PR-69. Most modern proof coins are graded Proof-69 because The United States Mint handles them very carefully so they will not be damaged.